NEXT | What's your favorite WoW memory? 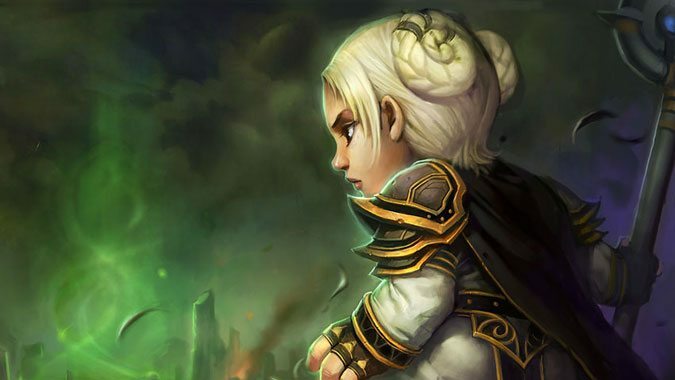 The WoW Classic demo servers have gone down, leaving us alone with our nostalgia (at least until it launches this coming summer). After putting in some playtime over the past week, we have a few thoughts about our trip back to 2004 when World of Warcraft first launched. After plenty of Classic chatter amongst the team, I asked everyone to send me a paragraph of their thoughts on the demo to share with you, dear readers. Apparently no one on the team understands what a paragraph is (and I decided I may as well join in and wrote four paragraphs of my own). Which is a roundabout way of saying we have a lot to say about the Classic experience. Here’s how we feel after a week of playing. The Blizzard team has done an amazing job recreating the experience. It’s all there. Everything you loved and everything you hated. Weapon skill, weird itemization, talent trees, etc. You got a small stat boost and a talent point to spend every time you dinged a new level. I was surprised how rewarding it felt, even though I knew the actually gains were negligible. Vanilla leveling was far less directed than it is now — there were no arrows, no highlighted areas on the map. You would just go off and explore, which felt more like an RPG. I also loved the drive by buffing. Shout out to the Mage who gave me Intellect on my Warrior and the Druid who gave me Mark of the Wild. Leveling is dangerous, especially the camps of Gnolls. Paladins lacked any sort of a ranged pull, and I had to remember how to body pull, and it was far too easy to pull three or more mobs which was too much for me to handle alone. While leveling, I had to dig into my whole kit: stuns, heals, bubbles. This also felt super rewarding. On more than one occasion, I ran myself out of mana. I needed to sit down enjoy the view while I ate and drank. Heading into combat with little mana meant a quick death, even if you were only fighting a single mob. Tagging is not shared. Whoever hit the mob first would get quest credit and loot. The danger and the tagging rules made grouping attractive, especially with the elites around Moonbroook. My playtime on the demo flew by, and on more than one night, as I sat down to the computer and asked myself what I wanted to play, the strongest urge was to play Classic. The only thing stopping me from playing more than I did was knowing the progress would be lost after the demo was over. It shouldn’t be too surprising. After all, Classic was the game I fell in love with, and if the demo was an indication, it still has a strong appeal to me. I know it won’t be for everyone, but I could see playing my Classic toon as more of a main and treating my Battle for Azeroth toons as alts, especially if my guild continues to struggle with attendance. Even though they follow the same archetypes, classes in the vanilla days played very differently, and not just because they had different talents and skills. Today, if I roll a Priest, it’s Holy, Discipline, or Shadow, and my basic skillset changes based on what I choose. Sure, there are skills shared between specs, but a large number are spec-specific. It gives each spec a unique flavor, bit it also divides classes into very specific branches, never to meet. 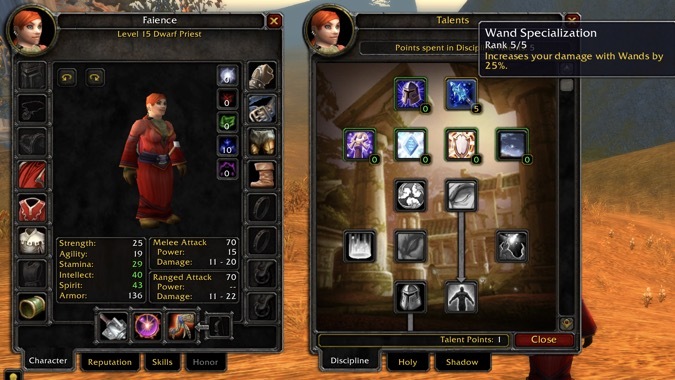 In vanilla, every member of a class had the exact same skills available to them. Only a handful were specific to a specialization, and you would unlock as you progressed down your talent tree. It makes play at low levels feel odd: when you start out, you aren’t a Holy Priest and you aren’t a Shadow Priest. You’re just a Priest, and you’ll continue for quite a few levels just being a Priest, without much in the way of Holy- or Shadow-specific abilities. Even as you leveled, you might start by putting five points into Discipline for Wand Specialization — don’t laugh, it was useful — or putting five points into Shadow for Spirit Tap. It didn’t matter if you wanted to play a Holy Priest at max level, because these abilities were more useful now. And even at max level you were never wholly one thing. A healing Priest might take 31 points in Discipline and 20 in Holy (because Lightwell, the top-tier Holy talent, was a joke) which let them grab the essential healing talents as well as Power Infusion at the top of the Discipline tree. But a healer could just as easily decide on a hybrid build with 21 in Discipline, 19 in Holy, and 11 in Shadow, which would let them get Divine Spirit from Discipline, a fair number of the healing talents in Holy, and Mind Flay from Shadow, which would help a lot with soloing — even more important in vanilla since you couldn’t switch specs without shelling out a mountain of gold. Sure, you could just dump all of your points in Holy if you wanted to be a healer, but you probably didn’t. That’s a kind of hybridization the game simply doesn’t have anymore. WoW Classic has a lot of flaws. I rolled a Priest on the demo and was immediately reminded how utterly brutal it was to level one. Every hit I took slowed down spellcasting and I constantly ran out of mana unless I just wanded. My first Classic death came within 10 minutes of logging on, when I accidentally picked a fight with two vultures at once. The game is difficult by design, devoid of countless conveniences we’ve grown used to. It’s slow, grindy, and frustrating. And it’s also a style of gameplay I find I miss. I’d like to go back and do it again… if I can find the patience to, 14 years later. Be prepared bag space problems. Everything you pick up, including quest items, goes in your bags — and plenty of them won’t stack. We all laughed at the patch notes explaining clams would be stackable, but in the Classic demo, as I ran down the coast killing Murlocs and picking up clams: no bag space. Clams do not stack. Making matters worse, large bags only have 16 slots. If you are with a group of friends and have to pick up those dreaded Goretusk livers, everyone in the group needs to loot them. You won’t get credit if a party member gets one (and they take up space in your bags). But despite that annoyance, you want to be in a group, because there’s no such thing as “world tag” on a mob. If someone hits the mob you need to kill before you do, you’ll have to wait until it respawns. You get credit for all mobs killed if you’re in a group, but solo? You’re out of luck. Hunters, if you never played during vanilla, you have no clue about the frustration of not being able to attack because your target was in the “dead zone” — the space that’s too close for you to use ranged abilities but too far to use melee abilities. And don’t forget that your pets need to eat: you have to know what your pet likes to eat and you keep it in your bags. When you kill your pet, which will happen quite frequently, your pet comes back with less happiness until the little icon is red — and if left that way, your pet runs away. You also only have three pet slots and if you want to change pets, you have to find a stable master. Then there’s the arrow/bullet dilemma. You need arrows or bullets to shoot things. They stack to 200, and you’ll need a quiver or ammo bag to carry them around. Expect to run out. You will need to memorize the location of every vendor who has both items. Engineers could make a fortune selling ammo in the AH. And speaking of weapons, you’re back to leveling weapon skills, which improves your DPS. Unarmed combat skills! I got mine up to level 48. And though Hunters have a developed a reputation for being great soloers, in Classic you need to watch what you’re pulling. Early on, you don’t have traps and if you pull more than two mobs, you’re going to wind up dead. (Thank goodness we don’t have multi-shot at this level.) Also, things run away a lot to get more friends — I was easily overwhelmed when a mob peeled off and ran towards other mobs. Westfall was so orange and the zone felt huge. I don’t know if it’s because we don’t have fast running, but it felt like an eternity to run back from the graveyard. Speaking of graveyards, there’s only one in Westfall. It’s near Sentinel Hill. There’s also only one flight path. Also Sentinel Hill. Ah, the life of a Druid in Classic. First off, you won’t get to shapeshift until you hit level 10. At level 10 you get to go to Moonglade, where you do a quest to learn how to turn into a bear. Would you like to be a cat? You’re going to have to wait on that one, because it doesn’t come along until level 20. In the meantime, you can content yourself with aquatic form, learned at level 16 — but be prepared to do a fairly lengthy and somewhat excruciating quest chain to get that one. Travel form? Oh, that’s level 30. In other words, Druids in Classic begin with a staff to thump things with and a couple of Balance spells. It is exactly as effective as it sounds. I’d forgotten…pretty much every single aspect of this when I created a Druid on the Classic test server. I remembered leveling being painful, but I’d forgotten the extent of it exactly. Taking on more than one mob at a time is a terrible idea — and bear form is almost kind of laughably ineffective at lower levels. Yes, you are a bear, but you are quite possibly the worst bear that has ever tried to bear, and the game continually reminds you of that. Back in the early days, Druids were touted as a jack-of-all-trades, master of none kind of class. You can do tank-like things in bear form, but you’re not as good as a flat tank. You can do Rogue-like things in cat form, but you’re nowhere near as effective as a straight-up Rogue. You can certainly try to kill things with your spells, but you’re not a Mage or a Warlock, and nowhere near as effective. Druid play definitely got more fun at later levels, when you could use your abilities to shift from one form to another and utilize all of these kind of not-quite-great-not-quite-bad aspects to become a weird morphing powerhouse, if you played things correctly. It wasn’t necessarily about mastering one spec: it was about using every form in your toolkit situationally. At lower levels, that toolkit simply isn’t available to you, which is what makes it more difficult to play. It’s the kind of class where you almost need a friend to level with, at least early on — if nothing else, you can heal your friend and let them handle the killing until you’ve gained enough abilities to start the rampage on your own. Oh, and you can’t talk to anyone when you’re in shapeshift form, something that I completely forgot about until I tried to take a quest as a bear. Whoops! 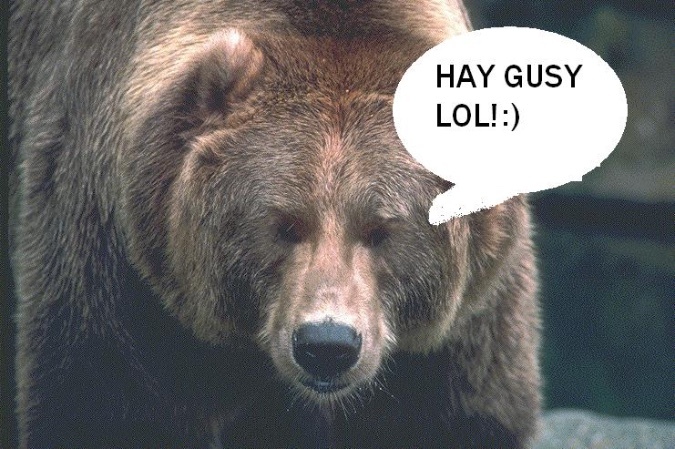 Silly bear, questgivers only talk to people. Running around Westfall again was a strange experience. I’d forgotten that things like glittering quest objectives and map indicators weren’t there at the beginning of it all. You have your quest text, and you muddle out where to go from there. But all of that information was still squirreled away in a corner of my brain somewhere, and after a few minutes of fumbling, I started to remember and just sort of instinctively head to where those objectives were at. It feels downright weird to be back where it all began. I’m really not sure what I expected out of WoW Classic. I bought the original game a few weeks before Burning Crusade, and I played hundreds of hours after that. I have the nostalgia, the fleeting desires to play the game that once was, but I don’t know if I still have the same fortitude as I did 13 years ago. There’s things I want to have done, to tell people I did — like wanting to have read Infinite Jest or watched Citizen Kane. I want to read all of the quest text, to have played a class other than my Tauren Warrior, to have raided Molten Core. WoW Classic is an attractive offer to go back and do what I couldn’t before. If anything, playing the demo reminded me how much I’ve changed as a person who plays games. My time, my energy, and my interest have higher demands, and the classic game doesn’t meet them. It’s an RPG with a set of laborious systems and rewards that weigh over you like the monotony of current open world games, except the tedium isn’t trying to be invisible. If I can’t see myself actually spending hundreds of hours in a game as beautiful and stuffed as this year’s Assassin’s Creed: Odyssey, I doubt I can spend it in the 2004 world of Orcs and Humans. I appreciate that WoW Classic exists and is, surprisingly, free with my current subscription. I want to say it’s not for me, but it is. It’s an open offer to to tell myself that this is the day I finally go back, right there in the Battle.net launcher. I’m sure when it’s playable again I’ll be there. I’m sure every few months I’ll go back, and I’m sure every few months I’ll realize all of this, again, and again. Nostalgia is often an ephemeral feeling, one that diminishes the complicated and the painful. 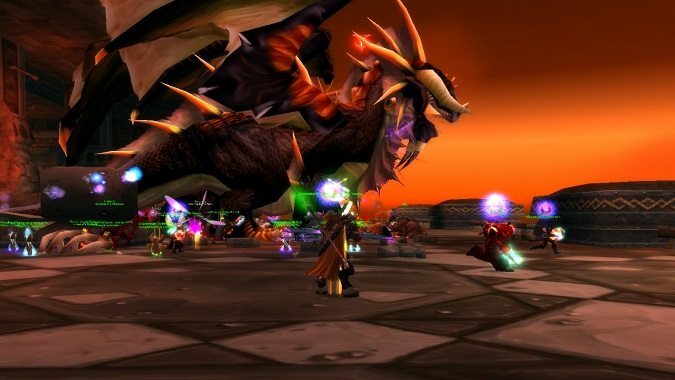 In the case of WoW Classic, Blizzard has expertly forged ours into weapon, making the demo a tiny slice of the Westfall experience was not only clever, but cruel. I certainly fell for it a bit. Despite not having high expectations, I still wanted a little bit of the experience to remind me of the things that I enjoyed about vanilla: learning being a Mage, seeing what mysteries the world held, and exploring beyond the next hill. None of these things were in the demo, nor could they be. The magic of the first time, of Warcraft being the only thing I played has been gone for a long time. The demo represents what vanilla actually was — obtuse, tedious, but still a little enjoyable. 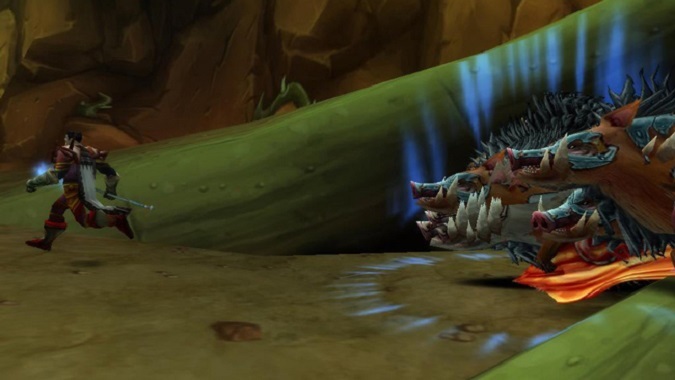 The part that was enjoyable was getting to be cranky about the same things I’ve always remembered being cranky about, and accepting this made the genius of this new-old Warcraft easier to understand. Vanilla wasn’t good: it was mediocre at best with occasional high points. We ourselves built the parts of the game that rose above the muck and the badly-statted gear and ponderous talent trees. What was present in the hour I got with the demo was the running around looking for quest mobs with no help, the lack of mana and general lack of accomplishment that I remembered from doing it the first time. It was funny how true to the old leveling experience it was. People cried so much for a classic revival of Warcraft, believing that they could retrieve the fun of the past from the shelf, uncorking it like a fine vintage. But vinegar doesn’t turn back into wine, no matter how much you want it to, and Classic will leave a sour taste in many people’s mouths when they realize this. Blizzard gave us exactly what we asked for, even if is not what we want. It’s what we deserve, and only time will tell how many people will convince themselves otherwise. And there you have it, the good and the bad according to the WoW Insider team — er, sorry, I got a little too caught up in the classic vibe — I mean the Blizzard Watch team. We’ll see you when the Classic servers go live, everyone.